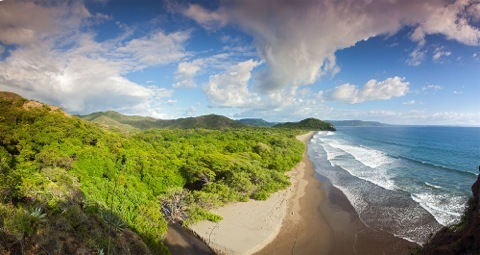 To promote the long-term survival of the ecosystems and biodiversity of Area de Conservación Guanacaste (ACG). ACG protects dry lowland forest, an especially threatened habitat, as well as adjacent rain forest, cloud forest, and a marine sector. It is home to 2.5 percent of biodiversity on the planet, and half as many species found in all North America. Importantly, ACG is recognized as a world model for involving local communities in managment of a large protected area and for tropical forest restoration. Nature is under assult in the surrounding areas due to burning, ranching, logging, hunting, fishing, development and conversion to agriculture and thus a human presence is needed at ACG to deter incursions. ICFC supports an after-school program in a fishing village bordering ACG. Knowledge from this largely field-based program permeates from the children to their parents and community and we are seeing a steady decline in human impact on ACG's marine sector. In 2017 we had children go beyond identifying sea creatures to engage in biomonitoring and citizen science. Our support enabled training of six parataxonomists for positions at remote field stations in rain forest sectors of ACG. ACG Parataxonomists have served as a model that has been employed elsewhere. In relation to ACG, they are men and women from the rural work force who have been on-the-job trained to carry out the same performance of biodiversity inventory in the field as could a graduate student or post-doc in taxonomy/ecology. Their career is to find and document “everything” in this or that portion of an ecosystem, while being resident in or near ACG, and thus being the human presence needed to secure a protected area. They are considered by Janzen and Hallwachs as “integral members of the biodiversity management and development team required by a large complex conserved wildland”. Our partner in Costa Rica is the Guanacaste Dry Forest Conservation Fund (GDFCF), an international NGO that collaborates with Area de Conservación Guanacaste. Key people for this project are: Daniel Janzen and Winnie Hallwachs of the University of Pennsylvania, Sigifredo Marin (on-site coordinator and director for GDFCF projects at ACG), and Maria Marta Chavarria for the after-school program in marine and field biology and conservation. Area de Conservación Guanacaste (ACG) protects 163,000 hectares of stunning tropical forest and marine habitat in northwestern Costa Rica, making up two percent of Costa Rica's entire area. It is a UNESCO World Heritage Site, evolving from a small 10,000 ha national park in 1971 to one of the world's most successful habitat restoration and conservation efforts. ACG's structure is decentralized, with certain sections being publically owned, and other sections privately owned or held by NGOs — all dedicated to conservation. Our partner, the Guanacaste Dry Forest Conservation Fund, owns 13,500 ha making up "Sector del Oro", "Sector Mundo Nuevo" and "Sector Rincon Rain Forest". ACG protects mainly dry lowland forest, which is especially endangered habitat in the tropics because it is accessed relatively easily for logging. ACG also includes adjacent areas of ecologically interlinked rain forest and cloud forest found at high elevations atop three volcanoes. Its marine sector stretches 6 km into the Pacific Ocean, protecting 43,000 ha of marine habitat. ACG is large enough and diverse enough to both maintain nearly all of that biodiversity despite being an ecological island in an agroscape, and to withstand much of the buffeting by climate change One of the fortunate aspects of conservation restoration of entire landscapes, which is a core function of ACG, is that nature will largely do the job if society will leave it alone. Much of the forest within ACG had been previously cleared, and the work of Janzen and colleagues demonstrates how landscape-scale forest regeneration can succeed in the tropics. The area is protected from the threats of burning, ranching, logging, hunting, fishing, development and the conversion to agriculture that has consumed surrounding areas. The approach at ACG also shows the benefits of employing local people to manage a conservation area, with over 130 staff made up entirely of Costa Ricans, the majority from communities surrounding ACG. One celebrated innovation has been the training of "parataxonomists": transforming the traditional position of park patrol officer to create more intellectually stimulating and meaningful involvement in conservation management. In addition to patrolling and guarding the park, parataxonomists are responsible for the identification and collection of species for biodiversity inventories and contribute to strategic planning. The label was borrowed from the word "paramedic" to encompass the jack-of-all-trades facilitation of the work of more intensely trained specialist[s] higher up on the information chain, and while working in a more ever-present and omnipresent manner than can ever be expected of the thinly distributed and expensive specialists. Creating local employment shifts the economic incentive away from resource extraction, while building awareness and support for conservation in the community. Dan Janzen notes that this objective stands in contrast to the classical method of "declare the area a national park and engage in decades of cops-and-robbers interactions with the dying and resentful town on its margin". ACG's approach costs less money, requires a very different interaction with local communities, and has a much better outcome. In 1986 the nascent ACG realized that in addition to purchasing land and ending destructive land uses, the most effective long-term conservation solution was to simply teach basic biology and ecology in the field. ACG is used to provide hands-on education to students, and sometimes their parents, at all schools ringing ACG — as far out as the budget would allow. Today, this involves about 2,500 students per year, focused on 4th, 5th and 6th graders, in 50+ schools and accounts for about 20% of the ACG budget. 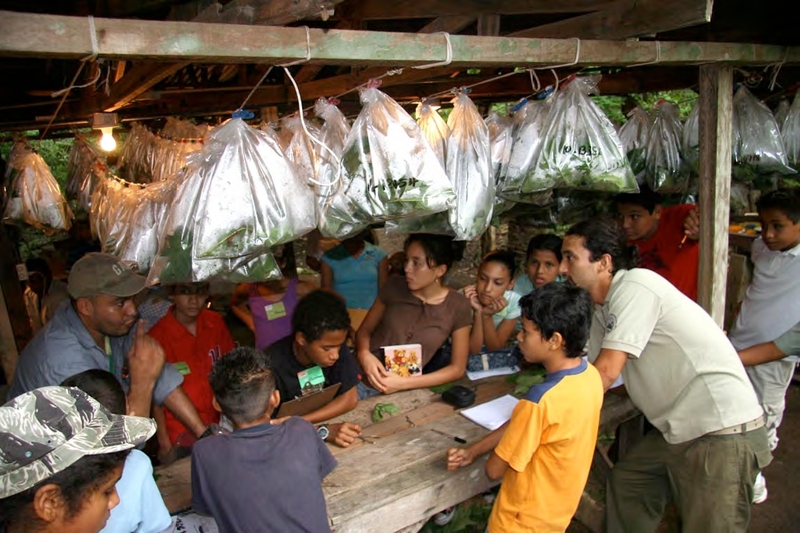 There are 11 full-time teachers, two school buses and a computerized scheduling system to ensure that (1) no one is left out, (2) no student does the same field trip twice, and (3) the students regularly do field projects in ecosystems different from the one in which they live (coastal students go to the rain forest, rain forest students go to dry forest, etc.). While the education program has generally worked extremely well for this rural area, the small fishing town of Cuajiniquil is a special case, requiring substantially more attention per student and per family. Cuajiniquil was founded on the practice of artesanal fishing, but fish resources were being steadily depleted. This resulted in one of their major fishing grounds being decreed a no-take marine protected area, as part of a national park established in 1977, and then a UNESCO World Heritage Site in 1998. Enforcement of fishing restrictions created a tense relationship between the village and conservation, although this has been coupled with support for alternate livelihoods and the community is beginning to adapt. ICFC recognizes that education is especially important in this village, and supports the after-school program in Cuajiniquil. ACG currently has eleven biological field stations with thirty full-time parataxonomists, of whom five full-time and one part-time are trainees supported by ICFC. The group also includes several senior mentors who have been with ACG for many years, trained by Drs. D. H. Janzen and W. Hallwachs in courses from 1989-1992. Each trainee was paired with an experienced mentor and placed in one of five field stations, all of which are located in remote parts of the northern rain forest (70-400 m elevation). Work schedules were developed at each station to include the collection of biological specimens, rearing caterpillars, entering records in a computer database, patrolling the sectors, and liaising with neighbours in the vicinity regarding land use issues. The group of parataxonomists convenes regularly and meets with a supervisor to assess progress. Parataxonomists contribute to a major DNA barcoding project carried out in partnership with the Biodiversity Institute of Ontario at the University of Guelph. They prepare specimens which are sent to the lab in Guelph where DNA is sequenced, and information is sent back for parataxonomists to compare with their observations. The specimens and data are shared internationally with museums and taxonomic specialists, as well as the Costa Rican Instituto Nacional de Biodiversidad (INBio); Drs. Janzen and Hallwachs provide feedback electronically and visit each field station at least once annually. As a result of these efforts, ACG has a growing biological inventory and scientific database. More than 5,000 species of insects and 1,000 species of plants have been identified and collected within ACG, revealing some extremely rare and un-described species. As collections extend into harder to access areas, parataxonomists are finding new species of caterpillar and species that have appeared in only a few records over the past two centuries. 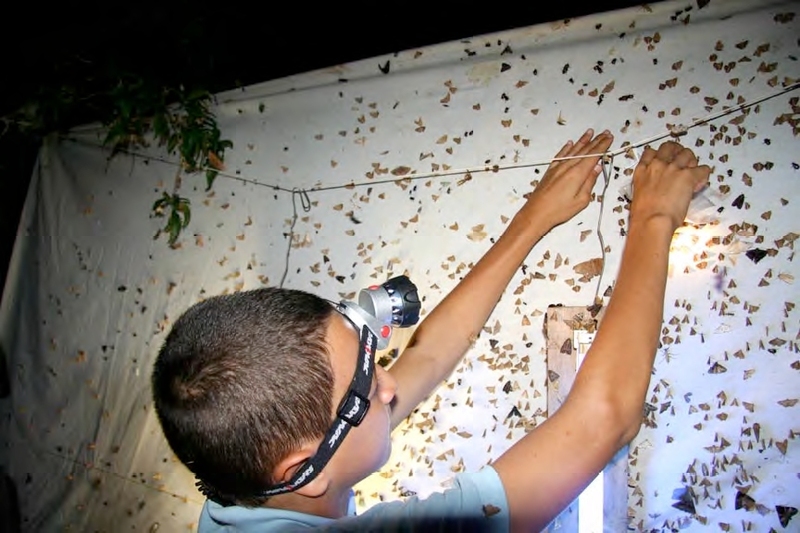 In 2012 alone, parataxonomists completed almost 18,000 records of caterpillar rearing (up from 14,000 in 2011, as trainees become more skilled and efficient). This process involves: finding and identifying caterpillars of a particular species; collecting specimens along with correct food plants; documentation in photos; monitoring and care through pupa and adult butterfly stages; analysis of butterfly characteristics for taxonomic identification; tracking information in a database; and preparing samples for DNA barcoding. In 2011, ICFC has created a trust fund to support up to seven full-time positions for parataxonomists. The fund is managed by a committee that includes representatives of ICFC and GDFCF, our NGO partner that manages the work at Area de Conservación Guanacaste in Costa Rica. At year-end 2015 the fund was capitalized at $1.95 million in Canadian currency. We are seeking further donations to build the fund's capital to US$2.1 million so that it can fully support those positions. ACG is very fortunate in having biologist Maria Marta Chavarria volunteer her time to lead an after-school program in a fishing village bordering ACG. Maria is gifted science teacher who began as a parataxonomist in the early 1980s, and is now a biologist and subdirector for ACG marine affairs. ICFC support allows the purchase of supplies and food, which are the essential logistic backbone of the program. Participants in these programs remain involved as part of the "IMAC group" (Initiative for Cuajiniquil Environmental Improvement / Iniciativa de Mejoramiento Ambiental de Cuajiniquil"). The latest IMAC 'recruits' include a group of adolescents who were notorious for killing birds, who are now dedicated bird photographers. After-school and weekend classes in marine biology and ecology are held at a sea-side school-room (La Casita) at Cuajiniquil. This includes talks on requested themes, video presentations of documentaries, and short field trips with swimming lessons, bird observations, and bike tours. Two-day camping trips are offered for groups of 10-14 children or teenagers who are selected based on written applications. Students have the chance to walk and swim as they observe forest, beach and river ecosystems. They prepare small research projects in groups, comparing their observations to reference books. The course emphasizes self-reliance, as students do all their own cooking and other caretaking, also learning about sustainable energy by experimenting with a solar-powered cookier to prepare their meals (see photo below). It also advances the written and oral communication skills needed to explain scientific observations, and develops students' understanding of ecological processes. The children in turn teach their parents, resulting in several requests from adults who are eager learn more. Parents have been invited to accompany children on various outings, such as a day trip organized for interested mothers ("IMAC mamas") to learn about local biology and geology. La Casita has also become an important resource for the wider community, with people stopping by to chat about conservation, report sightings of birds and animals, participate in events such as the 'Christmas Bird Count, and do research at the library, which is accumulating information documented by the students. It's a joy to teach children to love nature…. it is only to teach careful observation, and with patience and affection it is easy achieved… we are privileged to live alongside a unique area with many plants, flowers, birds, and marine life… The kids are fully engaged in the activities and eager to participate… this project is a long-term process of change towards an eco-literate population. Knowledge about an area, ecosystem or species builds a foundation for respect . Parataxonomist program webpages (in Spanish). Janzen, Daniel H. and Winnie Hallwachs. 2011. Joining Inventory by Parataxonomists with DNA Barcoding of a Large Complex Tropical Conserved Wildland in Northwestern Costa Rica PLoS One 6(8): e18123.